As always you guys knocked it out of the park with last week's Frugal Friday. First up, Cottage Hill shared her be-au-ti-ful DIY trompe l'oeil grandfather clock. Simply fabulous! 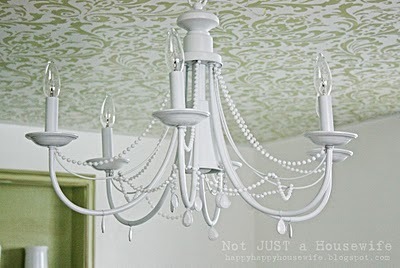 I adored this stencilled ceiling share by Not Just a Housewife. Need some new art? 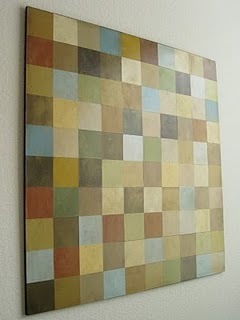 Try this paint chip wall art idea shared by Life, Crafts and Whatever. 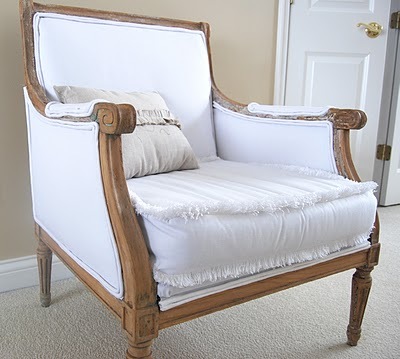 Beautiful Inspirations Design shared their DIY bedframe. And finally, Inspired by You shared her $10 Auction Chair. So. Jealous. 3. Please leave comments for the authors of the posts you visit. I reserve the right to remove posts that are not in keeping with the spirit of Frugal Friday including but not limited to those posts that link to your giveaway, and those that promote your products or shop. Please play fair. m'kay? Thanks for the linky party!! I linked up my round table redo. Oh my goodness....thanks so much for featuring my clock AND thanks for hosting each week!!! I like that paint chip art! Thanks for hosting this party. Wendy, thank you for hosting the hook-up! I've linked a bedroom renovation progress and concept for our beach house. In case you are wondering what on earth is frugal about that, the house was a wreck when we bought it, AND I've used free software to create the "afters". Thanks so much for the link party Wendy! Always look forward to it. thanks for hosting. so nice to see everyone's projects. Thank you so much for featuring my paint chip art! What a nice surprise to wake up to in the morning. Thank you for hosting, love your blog! Thanks so much for hosting the linky party! Look forward to browsing thru all the great projects over the weekend! Love your blog! Thanks for the party - I posted #233 the wooden chair. Completely Fab features! Good call!